The Official Podcast of the NCDA. Relax. Don’t Worry. Take a listen as your hosts recap games or tackle college dodgeball’s biggest issues. 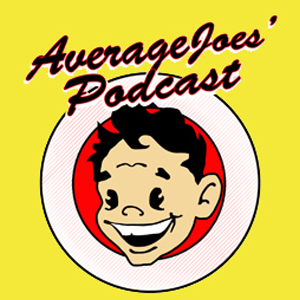 Whether hosted by a Member Team, the Alumninati, or officers of the National Collegiate Dodgeball Association, Average Joes’ Podcast has you covered! Mario, Felix, and Zig discuss Stevenson’s first wins and how they’ve adapted to the new 12 v 12 ruleset, then launch into a topical medical concern discussion and how our rules have evolved to limit injury potential. As we enter the voting season that defines our rulebook, policy, and bylaws for the upcoming season, Hunter and Zig took some time to discuss a couple of the proposals that made it onto the ballot. Make sure your team has voted! *I’m sorry for all the plosive explosions (the least interesting explosion there is in all of media). Couldn’t fix all of them in post. The first episode of the calendar sees Mario and Hunter recapping the BEAST, then previewing some of the games at the Bobcat Bash. Zig is also stumbling around in there too. For this Halloween episode we included no holiday references. But Mario and Zig recap the games played this weekend and have a couple rants about rules and officiating! Quick episode here, enjoy my static mic, apologizes in advance. Our first recorded podcast after Nationals. As Mario has headed back “weast”, we use the four prospective National 2017 hosts as springboards for cerebral road tripping, voting rights rambles, and Eastern team travel restrictions. Not to be underdone after discussing the four bids, we launch into a small preview of the proto-scheduled events of the fall. Name your events cool stuff so we may be entertained! We go over my 30 minute limit, and it really kills me because of the rendering time. We’ll have to cut our existential rants in the future. Enjoy! Members of Central Michigan’s Club Dodgeball team, Mike Riley, Kris Kohler, Ian Ryan, Shane Willette and Zach Bachner get together to give their two-cents on the season as a whole. They discuss matches they would like to see at Nationals, their top-five best throwers and catchers in the league, who they would take with them into OT and a farewell to players who are about to play in their last Nationals. Mario and Zig go over the potential policies and rules in that continual evolution of the NCDA. Zig proposes an even team rule and Mario proposes a consecutive match limits. We even launch into talking about future flavors of NCDA play. All that an more, try a listen! This edition of Average Joes’ includes a slew of angry old alumni with lots of complaining and name dropping of old teams that aren’t even in the League anymore! But fun is had. After a short recap of the Chicago Dodgeball Open, Mario Romanelli bounces some questions off Felix Perrone and Zig. 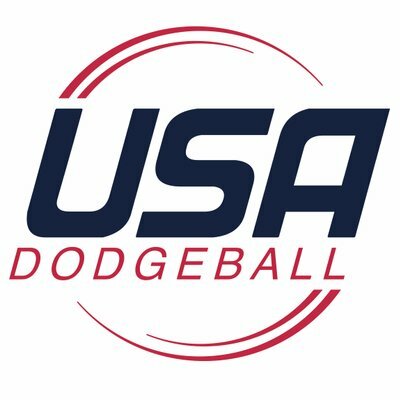 The topics: some ranking insights and future expansion ideas to facilitate even more dodgeball. In this Episode of the Average Joes Podcast, your hosts Zigmas Maloni and Grant Herrejon discuss a preview of the Chicago Dodgeball Open held this upcoming Saturday. In the 40th Episode of the Average Joes Podcast, your hosts Kevin Bailey, Jacob Leski, Colin O’Brien, and Felix Perrone discuss the current standings, upsets and surprises, highlights of the Fall semester, give shoutouts to the recipients of their unofficial midseason rewards, and talk about upcoming tournaments (including Nationals), and finish off with their bold predictions for the rest of the season. Join Sean Smith and Jonathan Shaw as they recap early season action and preview upcoming tournaments! Join Sean Smith, Kevin Bailey, and players from around the league as they get ready for the much anticipated 2015-16 NCDA season!